If you think you might need to update your PlayStation Portable's system software—also known as firmware—or you're thinking of trying PSP homebrew applications, you'll need to know which version of firmware your PSP has installed. The firmware prevents homebrew applications from working on the PSP as a security measure. 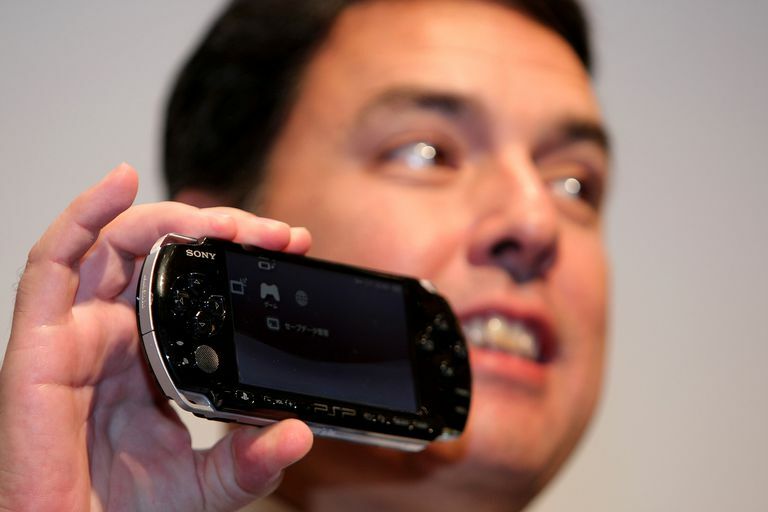 Follow these simple steps to find the PSP firmware version. Go to the Settings menu. It's the one farthest to the left. Scroll down to the System Settings icon and press X.
Scroll down to System Information and press X. The screen that opens displays the PSP's MAC address, system software version, and nickname. The system software version is the firmware version. Unless you're planning to run homebrew on your PSP, it's a good idea to keep the firmware updated. Some games require certain firmware versions to run properly, and Sony adds new features and security updates with its firmware updates. The best way to update the PSP is by using the System Update feature on the PSP. It requires an internet connection and a fully charged PSP with at least 28MB of free space. Turn on the PSP. Go to the Settings menu, and select System Update. Select Update via the Internet when prompted to do so. Select your internet connection or add a new one. The PSP connects to check for an update. If one is available, it asks you whether you want to update. Pick Yes. Wait for the download. Don't do anything with the PSP while this occurs. When the download is complete, you are asked if you want to update immediately. Respond Yes and wait for the update to install. Your PSP will restart when the process is complete.